Assistant Minister of Community Well-Being, Datuk Francis Harden Hollis (third left) presenting cash and food to Taruyah Abdullah at Kampung Muhibbah, Sri Aman. 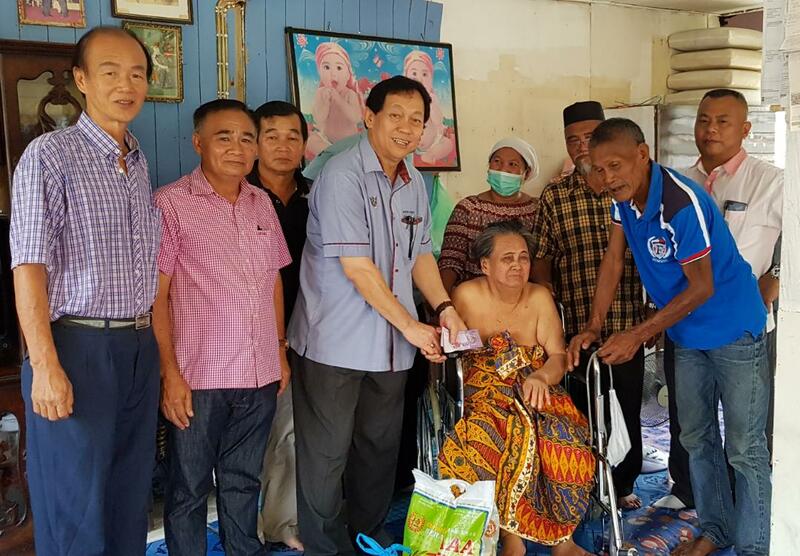 SRI AMAN: Assistant Minister of Community Well-Being, Datuk Francis Harden Hollis recently visited a sick elderly woman at Kampung Muhibbah here. Taruyah Abdullah, 68, is unable to walk and has problems defecating daily. She is being looked after by a caretaker. “After being informed of this, I visited Taruyah with a group of Sarawak United People’s Party (SUPP) Simanggang branch members,” said Harden. He found that the elderly woman had been living alone since her husband’s death on February 11, 2016. Taruyah has been surviving on her husband’s pension of RM800 per month. She uses RM300 to pay her caretaker while the rest of the money is spent on disposable diapers and other items. At the end of his visit recently, Harden donated some cash and food to Taruyah. Assistant Minister visits sick woman 0 out of 5 based on 0 ratings. 0 user reviews.